Injectable treatments can restore facial volume and reduce signs of aging. Dr. Schwartz offers BOTOX® Cosmetic and Dysport®, as well as dermal fillers like JUVÉDERM®. Injectable treatments can be completed in just minutes, and can target locations in which you have developed fine lines, wrinkles, or reduced skin volume. Injectables are a noninvasive, cost-effective treatment with minimal discomfort that can be easily completed in the space of a lunch hour. Facial aging occurs over time. Visible signs of facial aging are caused by sun exposure, heredity and lifestyle. Among the earliest signs of facial aging are the loss of facial fullness and the presence of wrinkles. By softening these facial lines, a person’s face can be restored to the fullness and volume of their youth. At Dr. Peter Schwartz's cosmetic surgery practice, beautiful results can be achieved without surgery by using non-surgical injectable fillers. 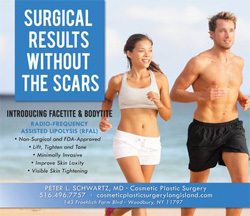 To learn more about the cosmetic injectables that we offer in our Woodbury, NY, practice, contact us today. Dr. Schwartz recommends injectable fillers as an excellent option for patients who would like to restore facial contours and reduce the appearance of lines, creases and wrinkles. 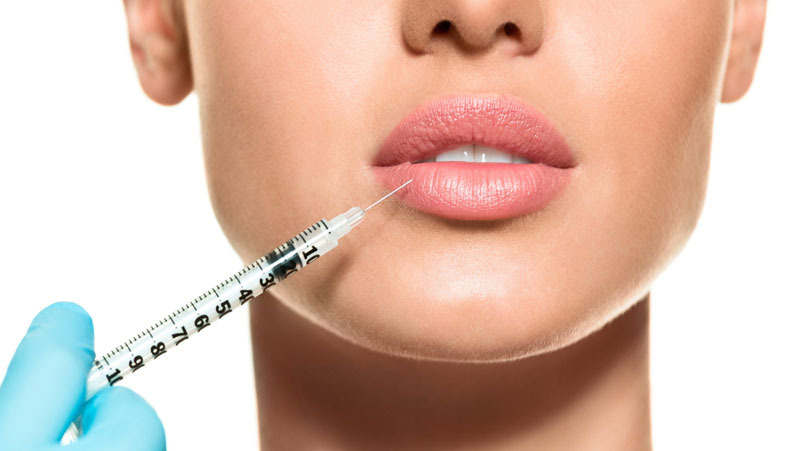 Injectable fillers are often used to enhance and plump thin lips, giving them a fuller appearance. Injectable fillers can also be used to enhance shallow contours in the skin. Patients looking to soften facial creases and reduce wrinkles may also benefit from the use of injectable fillers. In addition, the appearance of recessed scars can be reduced through the use of injectable fillers. When considering injectable fillers, it is important to understand that they will not stop the aging process. Dr. Schwartz would like to remind you that if you are looking to alter your facial elements, injectable fillers may not be right for you. You may opt for cosmetic plastic surgery procedures such as a facelift, brow lift, or eye lift as a possible solution. While non-surgical treatments such as injectable fillers cannot achieve the results of cosmetic plastic surgical treatments, they may delay the time at which a facelift, brow lift or eye lift becomes appropriate. Collagen is a natural protein in your body that is used to support the skin. The injectable filler, collagen, is that same main protein that is found throughout the body. Our skin is made of approximately 80% collagen. Collagen provides the strength that our skin needs. Hyaluronic acid is another injectable filler. This injectable filler, like collagen, is also a natural substance that is found in our bodies. Hyaluronic acid is a great choice for lip augmentation patients looking to plump thin lips and fill facial creases. Hydroxylapatite is a mineral-like compound that is also found in the human body. It is found naturally in human bones. Hydroxylapatite is suspended in a gel-like formulation. Hydroxylapatite is the heaviest of facial fillers and is best used to fill deeper creases. This injectable filler is also used to enhance fullness to the cheeks as well as other facial contours. To learn more about lip augmentation at our highly sophisticated plastic surgery practice, please contact us today.